Nestled in a tree-lined Woonona Street, this stunning circa 1920's home has been renovated to reveal its former glory. Harmoniously blending period features with modern open plan design, this period home is a unique find. A short walk will take you into the heart of Woonona township where you will find a range of amenities including shops, cafes, restaurants, services, and the popular Woonona Bulli RSL. Positioned in a peaceful and leafy pocket, surrounded by beautiful parks and sporting fields, this home is also within walking distance to highly regarded schools including Woonona High School, Woonona Public School and multiple early learning centers. Servicing the area, the Woonona Train Station makes commuting to work a breeze, whilst the highway is readily accessible and will take you into Sydney in approx 90 mins or Wollongong within 15 minutes. The true highlight of this location is the close proximity to Woonona Beach and Rock Pool, which lie just a quick drive or a relaxing stroll away ensuring an endless summer of fun in the sun with the whole family. Catching your eye as you drive past, this delightful home showcases gorgeous leadlight windows, a charming picket fence and a welcoming front porch which exude a commanding street presence. Once inside, the character continues with soaring high ceilings, timber floorboards and timber sash windows which give a nod to the home's historic roots. A grand hallway is flanked by bedrooms on either side, the master of which features a huge walk-in robe and study along with a luxury ensuite. The remaining 3 bedrooms are serviced by an updated family bathroom. Flowing effortlessly to the open plan lounge and dining rooms, here you fully appreciate the light and airy feel evoked by the modern interiors. An extra-large window over the sink floods the kitchen in natural sunlight. Spacious by design, you will never have a problem with too many cooks in the kitchen which features a chef's grade oven, quality appliances, and an eat-in breakfast bar. A cozy lounge complete with a fireplace and complemented by ducted air conditioning is the perfect place to relax on the couch while you catch up on your favourite TV shows, while the spacious dining room leads to the over-sized timber deck. Here, you can entertain your family and friends while the kids and pets spend hours exploring in the established gardens. Wonderful flora and fauna surround the home including a pretty avocado tree and a native beehive, all set amongst a spectacular escarpment backdrop. Perched on a 790m2 (approx.) 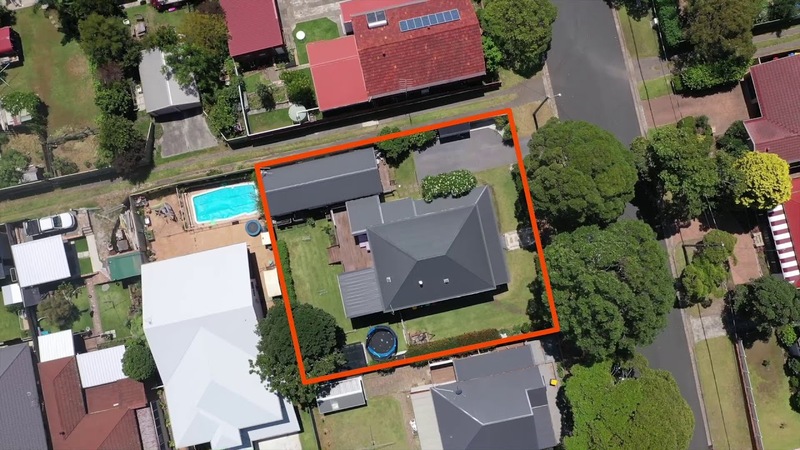 block, this prized parcel of land can accommodate 4 vehicles and still leave room for the kid's trampoline or the addition of a pool if desired. Featuring a laundry, storage room and a 7.5m x 2.5m shed, this home provides plenty of room for the growing family! A 2 bedroom fully self-contained granny flat also resides on the property and can be negotiated to be included in the sale or sold separately. The granny flat comprises of 2 well-appointed bedrooms, a generously sized living room, and an updated kitchen and bathroom. Completely detached, this freestanding granny flat can easily be removed or left as is with full power and plumbing in place. The current owners have done a remarkable job of renovating this home into an elegant and sophisticated residence whilst retaining traditional elements and character. There is little left to do but move-in and instantly enjoy the relaxed coastal lifestyle on offer from this superb home and location. Spend weekends lazing on the porch in the breeze or head to the beach for a surf. If you're tired of looking at cookie-cutter homes and are looking for something special, this is a must to inspect, one that any discerning buyer will be proud to call home. Call now to secure your inspection today.